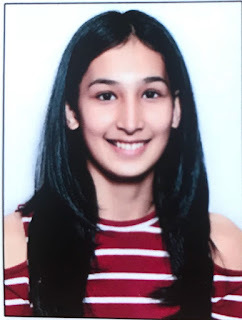 Chandigarh 31st May:- Aarushi Bhandari a student of Sacred Heart Senior Secondary School Sec-26 Chd has scored 94% marks in class 10th result. She wants to be become CA. Aarushi is State and National Level Player of Softball and she has won Gold in Dance at National Level. 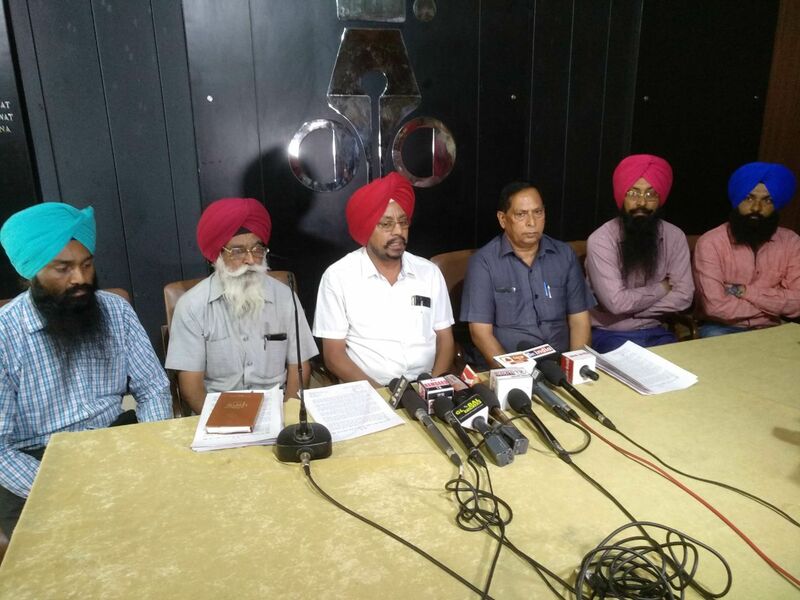 Chandigarh 31st May:- GNC, a leading nutrition and supplement brand, today announced its report, which finds a disconnect between perception and reality of health and wellness among Indians. Most Indians view their health as acceptable or excellent (70%) and describe themselves as balanced eaters (69%) – yet their lifestyle habits reveal a contradictory picture with 44% of respondents admitting to rarely or never exercising and being negligent eaters. Shadab Khan, CEO, GNC India said that while the consequences of Indians' lifestyle and current choices are widely known, as are the benefits of a balanced diet and exercise, our research finds a clear disconnect between how we view our healthy lifestyles versus our actual behavior. He added further that there is currently a form of 'collective delusion' when it comes to health and fitness; the vast majority of Indians believe themselves to be fit and healthy, while their daily behaviour suggests precisely the opposite. Specifically, while the majority (68%) of survey respondents agree obesity directly or somewhat contributes to a person's overall health, a proportionate number of respondents admit to eating fast food at least twice a week (47%) – with 15% consuming take-away food daily, and 41% eating fresh fruit only once a week or less. These negative eating habits spike during holidays and festivals, with 36% of respondents admitting to indulging in extra sweets and 26% disrupting their regular eating patterns. India's state of health has long been a source of concern, as 72 million Indians are currently diagnosed as diabetic – making the country the diabetes capital of the world according to the International Diabetes Federation. The health delusion illustrated within GNC's findings shed light to the cause behind this epidemic. Shadab Khan said that there is a need to educate consumers about the benefits and significance of adequate nutrition, regular sleep and recovery and exercise. He said that according to our research, work colleagues (for 29% of response Shadab Khan dents) and close family (27%) remain the most trusted and influential purveyors of health and lifestyle information. We at GNC believe the conversation needs to shift and become a collaborative effort to create awareness and drive India toward a healthier future. Chandigarh 31st May:- Providing kids a once-in-a-lifetime opportunity and a wonderful chance to make the most of their summer holidays, Elante Mall is organising a 17-day "Toontastic Summer Festival" in association with Cartoon Network from June 1 to 17, where children will not only get to meet their favourite Cartoon Network characters at one place but can also participate in various fun-filled games and creative activities like aero-modelling, fabric painting, mosaic painting, recycling art and science classes aimed at inculcating a scientific temperament in them and honing their creativity. From Powerpuff Girls, Dexter, Johnny Bravo and Tom & Jerry to Ben 10, Roll No. 21, Bare Bear and Mr Bean, children visiting the mall can catch up with all their favourite Cartoon Network characters during the 17-day summer extravaganza and also participate in MAD-certified art and craft activities being organised for the first time in the region. Elante has designated special Toontastic Islands like Ben 10 Hoopla Zone, Powerpuff Girls Villain Attack Zone, Roll No. 21 Photo-Op for Children and Dexter's MAD Lab Zone with every zone set aside for separate activities to add to kids' excitement and keep them occupied. Blending learning with fun, the Toontastic Summer Festival workshops at Elante will include many creative activities like mosaic painting, painting without brushes, stationery art, felt art, origami, DIY art, recycling art as well as science classes, where experts will hone the scientific acumen of children through activities like aero-modelling. Commenting on the idea behind organising the event, Anil Malhotra, Executive Director, Elante Mall, said that we have been constantly striving to provide a unique experience to our shoppers. This time of the year when schools are shut for summer vacations, we want to make Elante the place where kids can spend the day along with their parents. Toontastic Summer Festival is an initiative to cater to kids and give them an opportunity to not just interact with their favourite cartoon characters, but also learn new things at the various workshops organised for them. Chandigarh 31st May:- To meet with the shortage of blood during summer months, Thalassaemic Children Welfare Association (Regd.) 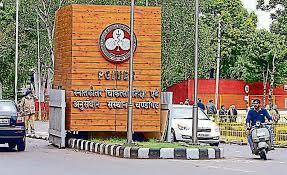 Chandigarh will be organizing 172nd Blood Donation Camp in Zakir Hall, Block–A, PGI Chandigarh on 02nd June, 2018. This Blood Donation Camp will be inaugurated by Krishan Chand Singla, Founder-Ramesh Medical Hall, Sector 16 Chandigarh, Voluntary blood donors/ social organizations dedicated towards this noble mission are requested to participate/donate blood in this camp to save the lives of thalassaemics and other needy patients. 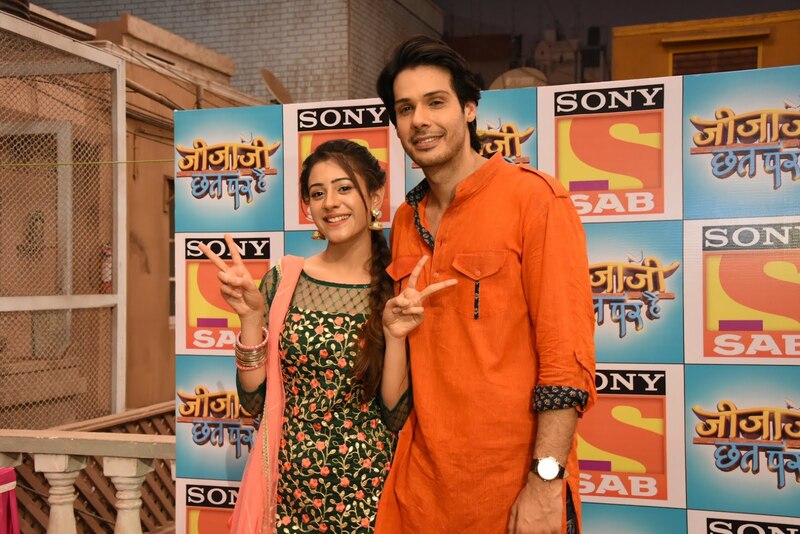 Chandigarh 31st May:- Sony SAB's Jijaji Chhat Per Hain has been winning hearts of the viewers and entertaining its fans with its rib tickling content since its inception. The show that has been enthralling the viewers with its unique yet affable characters recently completed 100 successful episodes. To celebrate this special milestone the cast and crew hosted a special Chhat Chaat Party on the sets. There was a grand chaat party organized followed by a cake cutting. The cast and crew were having a gala time and enjoying the joyous occasion. All the actors were in a jovial mood and came together to celebrate the landmark moment. The actors that were present at the celebration were Nikhil Khurana, Hiba Nawab, Soma Rathod, Anup Upadhayay, Harveer Singh & Rashi Bawa. The actors indulged in different chaats and ice golas and even tried their hand at making it. Overjoyed Hiba Nawab who plays Elaichi said that it's a big milestone for the entire cast and crew. She is overwhelmed by the love we have received from our viewers. The fans of the show have loved her character and today it's all because of them that the show is going so good. We wish the show completes another 1000 episodes and we continue to climb the ladder of success. Talking about the success of the show, Nikhil Khurana who plays Pancham said that it feels really great with the amount of love we are receiving from the viewers and the way they are enjoying our show. Completion of 100 episodes is quite a momentous for everyone on the sets. It is a great and enriching experience to shoot for this show and he hope we continue to receive the love and support from our well-wishers. Chandigarh 30th May:- Freyr Energy, a Hyderabad based solar EPC company bagged the award for 'Smart Village' at the 4th Smart Cities India 2018 Expo by ITPO – Ministry of Commerce & Industry, Government of India. The event was jointly organized by India Trade Promotion Organisation (ITPO) and the NASSCOM Centre of Excellence – IoT. Chandigarh 30th May:- Committed to offer the consumers with innovative and best-in class technologies, Samsung India, country's most trusted consumer electronics brand, today reconceptualises the cinema experience by bringing in World's first ONYX Cinema LED Screen in India. Commenting on the launch Puneet Sethi, Vice President, Consumer Electronics Enterprise Business, Samsung India said that witnessing the growing demand for advanced theatre technology from movie experts and consumer alike, Samsung planned to make a radical shift from the theatre projection systems to the LED screen in India. He added further that we are introducing a game-changing technology which would showcase the work of our directors as intended and at optimal quality. In addition, it will also offer our movie-goers a new level of viewing environment, immersive in every aspect. Inspired by the gemstone of the same name, the Onyx screen has the ability to deliver un-parallel picture quality with its true black colour bringing the content to life with higher vibrancy and accuracy. It comes with comprehensive solutions Onyx View, Onyx 3D and Onyx Sound. Combined by an infinite contrast and specialized low-tone greyscale settings, Onyx VIEW delivers brighter and more detail-rich content. The screen delivers HDR (High Dynamic Range) to the cinema, showcasing on-screen contents at peak brightness level, nearly 10 times greater than that offered by standard cinema projectors (146fL versus 14fL) with improved uniformity and free of optical distortion and interference. It is industry's first DCI-certified cinema screen available in various sizes. The technology delivers better visual quality, technical performance and reliability beyond that of traditional projector-based operations. The screen maintains its advanced presentation capabilities in ambient lighting conditions regardless of the featured on-screen content and accommodate users who wish to utilize their theatres for corporate events, concert, sports event viewing & gaming competitions. The 3D Onyx Cinema LED screen crafts 3D movie content more realistically, through enhanced brightness and consistent colour amplification. Glass-wearing viewers can now have the benefit of subtitle text, images and even minor visual details with unprecedented clarity and without the dark, blurry shadowing. The screen also offers state-of-the-art Onyx surround sound from JBL by Harman International and Samsung's Audio Lab, bringing scenes to life through clear and consistent audio. This integration eliminates rearward bias by expanding the audio "sweet spot" within Onyx theatres, and ensures that all attendees can enjoy the same presentation throughout, regardless of the seat location. Samsung has collaborated with cinema content developers and cinema technology solution services provider to ensure that the display can optimize upcoming films as the theatres upgrade their screen to the Onyx screen. Chandigarh 30th May:- The students of Class 10th of Chitkara International School have showcased a remarkable execution of hard work with 100% result in the CBSE Board Examinations, 2018. 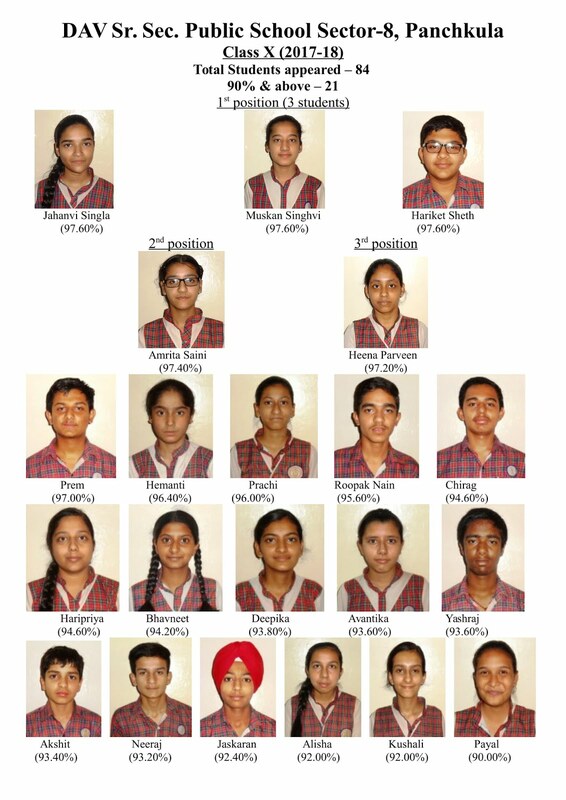 A total number of 81 students appeared for the examinations set by the CBSE Board – with all rounder students , Shushmita (Topper with 97.4%), Gurkirat, Arshita, Samridhi, Kunwarpreet, Jasmine, Pravan, Garima, Kawin, Saksham, Ananya, Pragya, Prabhjot, Bhawna, Ishika, Divyanshu & Jessica attaining more than 90 % marks. Dr. Niyati Chitkara, Principal, Chitkara International School said that the remarkable result is the collective hard work, consistency and sincerity of the teachers and students. 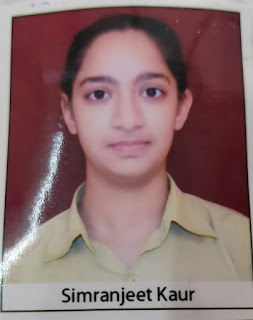 Sushmita Tripathi, an avid debater & speaker, who possesses immense talent in the art of calligraphy, topped the examinations from school by securing impressive 97.4% marks with 100 marks in Science & Computers, 99 marks in Mathematics & Social Science followed by Gurkirat Kaur at amazing 95.8% marks. The 90% achievers group of the school has national level player of Fencing, Prabhjot Kaur (90.2%), Best Junior RJ winner of 94.3 MY FM, Ananya Bhandari (90.2%), Robotics champion & National Level CBSE Science Exhibition participant, Kunwarpreet Singh (93%), Innumerable debate Competition & MUN awards winner and an expert MUN Trainer, Pravan Kamboj (92%) along with an award winning Techie, Kawin Sharma (91.4%) who has created a Mobile Application called Active Sharing Adolescents Portal (ASAP) to help students (especially teenagers) with their problems by remaining anonymous. Chandigarh 29th May:- Adding another feather to their cap and carrying forward the rich legacy of their school, Students of class 10th of Dikshant International School performed outstandingly well in All India Secondary School Examination held by CBSE in March 2018. The collective efforts of students were seen in 100% result of the school. 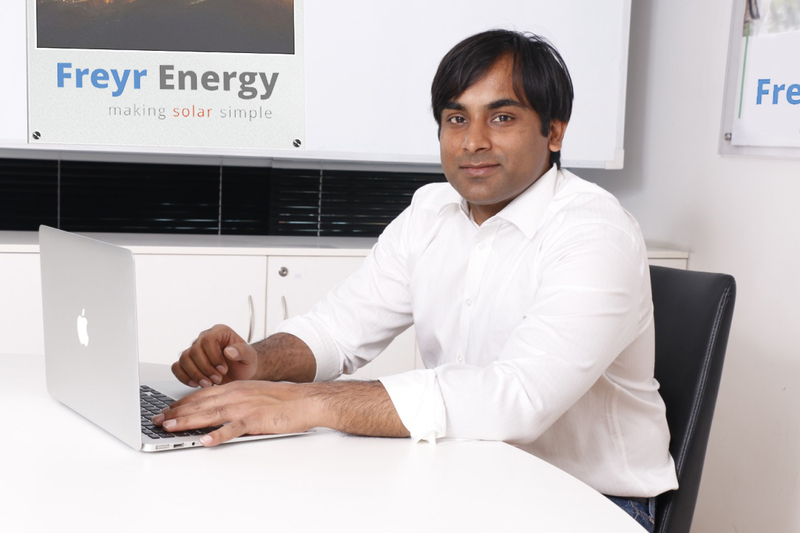 Gaurav Bansal secured first position with 95.4 % aggregate, closely followed by Khushal Chopra with 95.2%. Out of 66 students who appeared in class X this year, 12 students scored more than 90% marks where as 50% of the total students scored more than 80% marks. Mitul Dikshit, Chairman, Dikshant Schools said that the hard work of students, mentored by experienced and dedicated teachers has ensured exceptional results of school, year after year. He added that he wish the students a great luck for their next class. 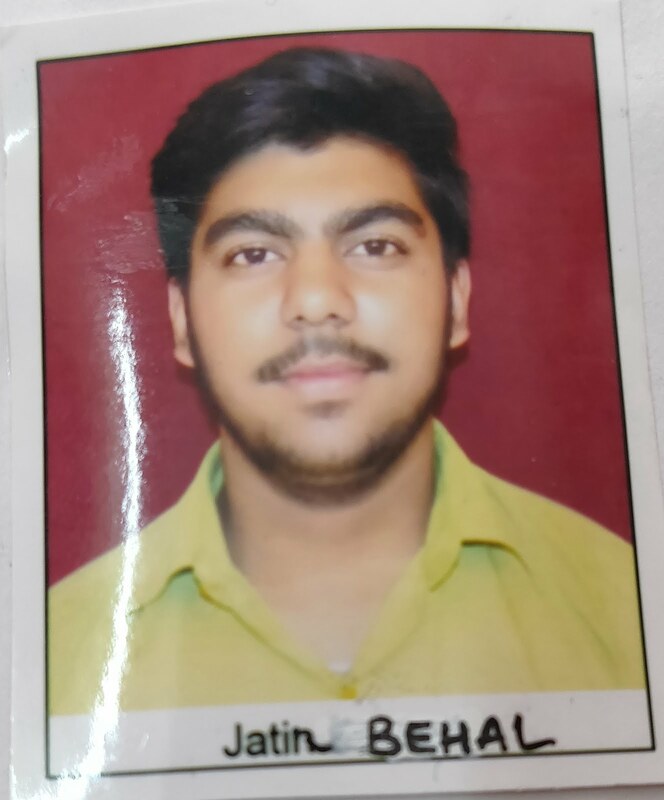 Gaurav Bansal, Khushal Chopra , Jahnavi, Nandita, Satvik, Tanisha, Harshit, Kasyap, Sameer, Sheena and Surangana and Sakshi scored more than 90% marks. Dharanikota D V Sriram Kasyap scored 100 in Mathematics while Gaurav and Sheena scored 100 in Hindi. Chandigarh 29th May:- The grand finale of India's leading fashion brand, Max Fashion Kids Festival 2018 held in a mall here this evening. Max Kids Festival is a platform that lets the kids showcase their talent and get recognition as icons in their city. It encourages little champs and divas to participate and showcase their talent in singing, dancing, drawing competition. The fest witnessed a host of singers, dancers and artists wowing the audience with their talent. Saurabh Garg, AVP & Business Head North India, Max Fashion said that the Max Kids Festival is in its 7th year as we continue to engage with our customers through innovative, fun and engaging initiatives. It's heartening to see thousands of kids registering for the festival every year and their parents supporting them. We hope to boost the fun for the entire family as they enjoy their summer holidays. 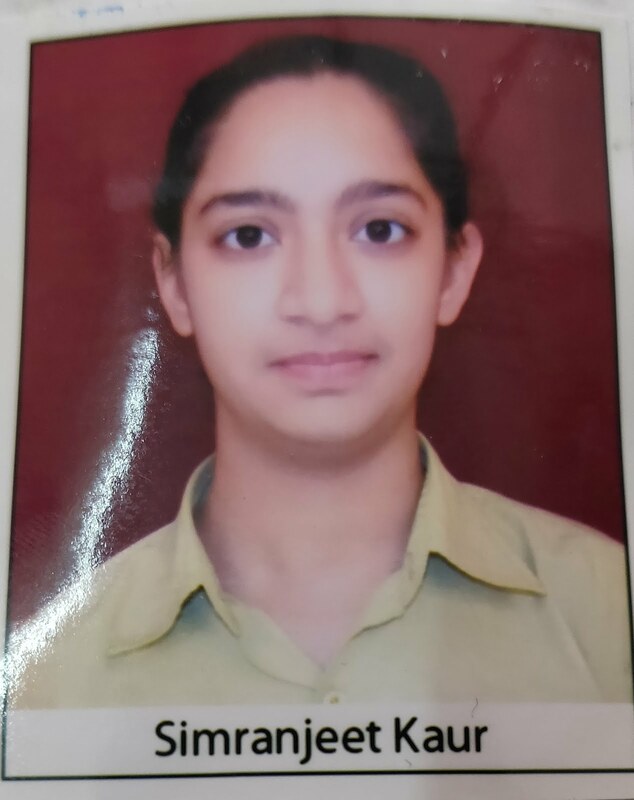 Chandigarh 29th May:- Aarushi Pansey, student of Carmel convent Chandigarh has scored 96% in class 10th CBSE. She is daughter of Sanjiv Pandey Addl. Distt. & sessions Judge and Vibha Pandey , Managing Director Ambika Group of colleges Kharar and grand-daughter of A.P.Pandey , IPS, DGP (retd.) Punjab. Chandigarh 29th May:-Edition 2 of Connect Net Champs a program that addresses Internet Security among school students – kicked off its 6th session on Cyber Security at St Teresa Convent School Panchkula . The session included a thrilling Quiz contest for students. Two candidates were shortlisted for the next round. In an interactive session with the expert, children at St Teresa Convent School Panchkula learnt various nuances of the internet world. Topics of discussion included the potential risks related to internet and how to avoid these, exposure to inappropriate material, harassment and bullying, physical molestation, legal and financial, viruses and hackers. Additionally, important guidelines were imparted on how children can avoid online risks, rules for online safety, and how to be a smart internet user. Talking about the Program and its takeaways, Arvind Bali, CEO, Connect Broadband & Videocon Wallcam, said that Net Champs is a program that will make children well aware of the Internet and Technology. We feel Cyber security is a shared responsibility that every individual should embrace in their communities to keep the Nation and future generation secure. Campaign 'Net Champs' is designed to educate and empower the students, parents and teachers to take steps to protect themselves and their families online. This year we look forward to covering 200+ schools'. Chandigarh 29th May:- Honda Cars India Ltd. (HCIL), leading manufacturer of premium cars, today launched its much awaited All-New2ndGeneration Honda Amaze in Chandigarh. Built on an all new platform, the 2nd generation Amaze incorporates Honda's spirit of innovation in research and development aiming to delight the customers. The car offers One Class Above premium experience with its all new bold design, sophisticated & spacious interior, more efficient power train, outstanding driving dynamics, advanced features and safety technologies. The all-new Amaze features the First in Industry Diesel CVT Technology in the Indian market, offering powerful and effortless driving experience. This is Honda's first diesel engine combined with advanced CVT, and India will be the first market to launch this technology. Speaking on the occasion, , Rajesh Goel, SVP & Director, Sales & Marketing Honda Cars India Ltd. said that the All New Amaze has been developed keeping the needs and aspirations of Indian customers in mind. It is a big promise from Honda and we are confident that the All New Amaze will become one of the strongest pillars of HCIL business. This model will create new excitement in the segment and will provide us opportunity to expand our business across markets. He said further that in line with our commitment to offer latest technologies to the Indian consumers, Amaze comes with advanced Diesel CVT which is Honda's first such technology in the world and also an industry first in the Indian market. The model has been developed under the grand concept of 'Amazing Compact Limousine' represented by its sleek solid design, overwhelming cabin and cargo space within 4 meters and outstanding driving performance with comfortable ride. 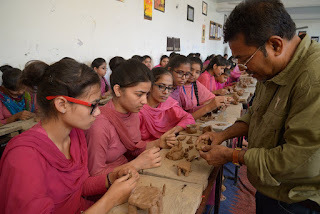 Chandigarh 29th May:-On the first day of a two day Clay-Modeling workshop by sculptor Basudeb Biswasat organized by Punjab Lalit Kala Aklademi at the Government Arts and Crafts Teachers Training Institute, Nabha, Patiala which will conclude on 30th May 2018. Approximately 100 students, more girls than boys and faculty of the institute keenly observed and participated in this workshop. Basudeb explained in detail the finer nuances of the craft of modeling the clay into interesting shapes and forms. Students who are budding artists and teachers who will shape the future of young students in schools in Punjab, immersed themselves fully and played with clay and turned it into faces, toys and various other shapes giving expression to their inner most thoughts and emotions. The workshop will continue tomorrow as well. Diwan Manna, artists and President of Punjab Lalit Kala Akademi shared with the participant that the thought behind this was to introduce art teachers to modern and traditional techniques of art making so they could further educate students about the latest and age old trends in the world of art. Students studying in Arts and Crafts Training Institutes are trained to become art teachers and impart art education to very young and impressionable minds in schools. Punjab Lalit Kala Akademi thought it to be the most fertile ground where the Akademi could make intervention by bringing to them some of the significant artists who would share with them their art practices and also educate them about those disciplines which these teachers in the becoming have not been exposed to. 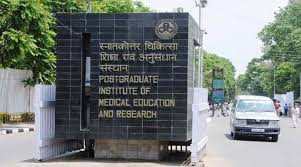 Akademi plans to organize two-three such workshops in this Institute every year so that art education in the state could be improved from the grass roots level. Akademi is already in communication with many educational institutes in Punjab and is in the process of involving the School Education and Higher Education departments for organizing Art Workshops, Audio Visual Presentations and Film screenings for faculty and students wherever art is taught as a subject. Akademi is designing different programmes for those institutes where art is not taught as a subject as yet. To expose them to new mediums and unheard of techniques, those disciplines of art would be taken to these schools and colleges which are not already being taught there. Chandigarh 29th May:- Brilliance World School, Sec- 12 is conducting a Summer Camp for students of tricity this summer vacation for their constructive engagement during the summer break. Brilliance World School is holding the summer camp in two batches. The First batch is from June 1 to June 15, 2018, & the second batch is from June 16 to June 30, 2018. Shyam Sunder, Chairman, Brilliance world School said that a range of activities like swimming, skating, taekwondo, dance (Indian & Western), music (Indian & Western), animation, lawn tennis, pottery, art & craft, personality development, cricket and yoga will be taught to students. Students may select for any number of activities from all these. The school will also take care of Breakfast and the Pick and Drop of students. The Summer Camp is tailor made for children between 3 and 16 years. Every day, the camp will begin at 9 a.m. and conclude at 1 p.m.
Those desirous of honing their skills in the activity of their choice & spending vacation time fruitfully can get in touch with reception at Brilliance World School, Sec 12, Panchkula. Chandigarh 29th May:- Dr. Ashok Tanwar, former M.P., President, Haryana Pradesh Congress Committee has announced the second phase of "Haryana Bachao-Privartan Laao" Cycle Yatra from Chautala in Sirsa district starting from May 31. The yatra, which has taken the shape of a mass movement, will expose the anti-people policies of BJP Government at the Center and in Haryana. The yatra will be joined by Lal Ji Desai, Chief Organizer of Congress Seva Dal, Ch. Ranjit Singh and Ch. Ishwar Singh, both former M.Ps. A number of senior leaders of AICC, a number of ex-Minisrters, Ex-M.Ps., Ex-M.L.As., Party candidates of last Vidhan Sabha elections, Mahila Congress, N.S.U.I. and many other social leaders will reach Chautala (Sirsa) to give their blessings to the yatra. On the first day, Shri Lalji Desai will himself cycle from Chautala to Kalanwali. In the scorching heat of May, Dr. Tanwar will lead the Cycle Yatra covering more than 350 Kms. passing through 200 villages of five Vidhan Sabha constituencies. The first phase of the cycle yatra had started from Kalka and concluded at Pehowa. Under this phase Dr. Tanwar has exposed the misdeeds of the Khattar Government like scam in the name of Sarsvati river, Sand Mafia in Yamuna area under the nose and collusion of senior BJP leaders, the corrupt deeds of BJP leaders of Kurukshetra and Ambala and gundagardi of INLD leaders. Similarly during the second phase of the yatra, the partiality of the BJP Government with Sirsa Lok Sabha constituency and this phase will start from Chautala to expose the INLD, B team of BJP. The shortage of employment avenues, rising prices of petrol, diesel and LPG and anti-farmer, anti-labour policies of BJP will be exposed. This mass movement will prove to be "Ashvamegh Yagya" for the removal of BJP Government and making Rahul Gandhi the Minister. Chandigarh 28th May:- PTron today announced the launch of 'Musicbot', a compact portable Bluetooth speaker. Musicbot connects wirelessly to a smart device or tablet, and delivers a whole new level of listening experience. PTron Musicbot is a mini wireless Bluetooth speaker that offers impressive sound quality and performance in a sleek design. PTron Musicbot's design helps create a 360-degree sound field. The Bluetooth speaker is loud enough to party at home and compact enough to be carried wherever you go as it fits in the palm of your hand. With multiple uses, Musicbot is designed to appeal to a very diverse set of users. With four hours of playtime, you can party just about anywhere, anytime. It can be used at workplace too; with its hands-free calling capabilities, it doubles up as speaker for conference calls at work. PTron Musicbot is launched in black color, at an introductory price of INR 699 on leading e-commerce portal LatestOne.com. Ameen Khwaja, CEO of Palred Online Technologies Pvt. Ltd. said that PTron is upping the mobile accessories game and producing the finest range of personal mobile audio devices. Musicbot is a pocket-sized beauty designed to cater to the needs of music lovers whose lifestyle demands both fun and sophistication. Bluetooth 4.2 helps deliver clear sound and seamless connections. Chandigarh 26th May:- Dr. Ashok Tanwar, former M.P., President, Haryana Pradesh Congress Committee has called the four years of BJP rule as an era of 'National Betrayal'. During these four years all the sections of the society have been betrayed by the BJP Government. He was addressing the media persons in connection with call given by the Congress President Shri Rahul Gandhi to observe May 26 as "Vishvasghat Divas". Smt. Sumitra Chauhan, President, Haryana Mahila Congress was also present on this occasion. Giving facts and figures Dr. Tanwar said that Narender Modi has literally proved to be "Kisan Virodhi" (anti-farmer). The cost of input has increased but the return to the farmers for their crops has decreased. He said that as per RBI report the Rural Wage Growth which was 38% in 2014 has come down to 0% in 2018. Dr. Tanwar said that slogan of Doubling Farmers' Income by 2022 is merely a Jumla. The BJP has promised to give farmers cost + 50% for their agricultural produce but this has proved a white lie. He said that the Fasal Bima Yojna has benefited the insurance companies and not the farmers. The profit of insurance companies has risen to 14828 crore rupees, whereas the compensation paid to the farmers has been merely 5650 crore. The youth had been promised by Narender Modi that they will get 2 crore jobs every year, but only 4.16 lakh jobs were created in 2016-17 and the number of unemployed youth in February 2018 has swelled to 3.10 crore. He said that demonetization has resulted in loss of 15 lakhs jobs. He said that BJP Government has no clear education policy and in the four years of its rule the Cess charged for education has amassed to the tune of 160786.85 crore rupees and there is no clarification where this amount has gone. There have been frequent incidents of leakage of papers and another mafia named "Exam Mafia" has come into existence in the BJP misrule. During the elections Narender Modi has shouted hoarse that he will never eat nor he will allow to be eaten, but four years of BJP rule under Narender Modi has resulted in scams like Punjab National Bank and other Public Sector Banks. This has resulted in shacking of faith of the countrymen in the banking system of India. A total of 61036 crores rupees of scams have taken place in 12 banks. He said that the Modi Government has not taken any action against the culprits of Vyapam, PDS and other scams. Narender Modi is keeping a stony silence in the matters of Jai Shah son of Amit Shah, President, Bhartiya Janta Pary and Piyush Goyal, a Union Minister. The people of the country have suffered a lot due to "Modinomics" which have destroyed the country's economy. The PCC Chief said that all the sections of the society even the house hold ladies are suffering from the pinch of petroleum price rise which have crossed all the reasonable limits. The price of petrol was 76.61 in 2014 when the crude price was $ 107.09 per barrel and now when the crude price is $ 76.43 per barrel, the petrol price has jumped beyond 80 Rs. per litre. The rise in the price of LPG has been more than 50% during these four years. Dr. Tanwar announced that to educate the people of Haryana about the misrule of BJP at the Centre and in the State, the second phase of "Haryana Bachao-Parivartan Laao" cycle yatra will from Chautala in Sirsa district and May 31, 2018 and it will conclude on June 4, 2018 in Sirsa town. He said that in connection with the "Save Constitution Campaign" launched by the Congress President Shri Rahul Gandhi, a state level sammelan will be organised by the Pradesh Congress at Karnal on May 27, 2018. Earlier in the day, the Congress workers led by Dr. Ashok Tanwar and Sumitra Chauhan held a protest demonstration. This was a part of the call given by the Congress President Rahul Gandhi to observe Indian Betrayal Day against the misrule of BJP. The Party workers marched towards the Secretariat carrying the effigy of Narender Modi shouting slogans against the BJP Govt and the Prime Minister. There were stopped by the police from proceedings to the Secretariat. The Congress workers at that spot burnt the effigy of Narender Modi. On this occasion Dr. Sneh Lata Ahalawat, Sr. Vice President, Haryana Pradesh Mahila Congress and Raghav Vij, State Coordinator I.T. Cell got their heads shaved as a symbol of mourning. 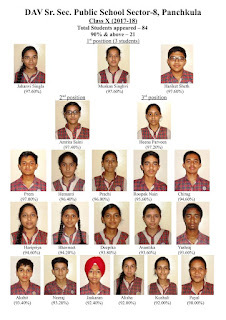 Chandigarh 26th May:- Gian Jyoti Global School, Phase-2, Mohali students shine in 12th CBSE results 2018. Total no. of students appeared in the examination was 104 from Medical, Non-Medical & Commerce. 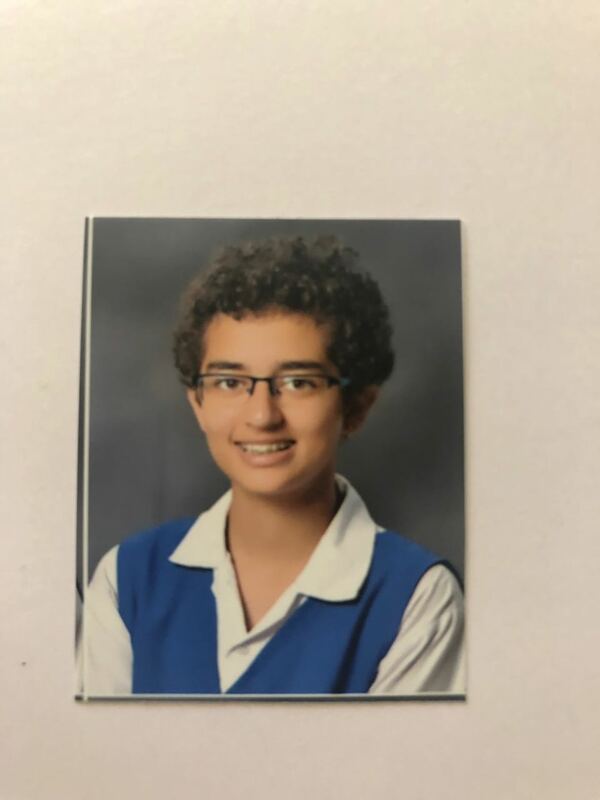 Riya Ahuja (Medical) got 95.2% and stood first in the school followed by; Muskan Naroia (Medical) with 93.5%; Barikhav Sharma (Medical) got 92.4% and placed third. 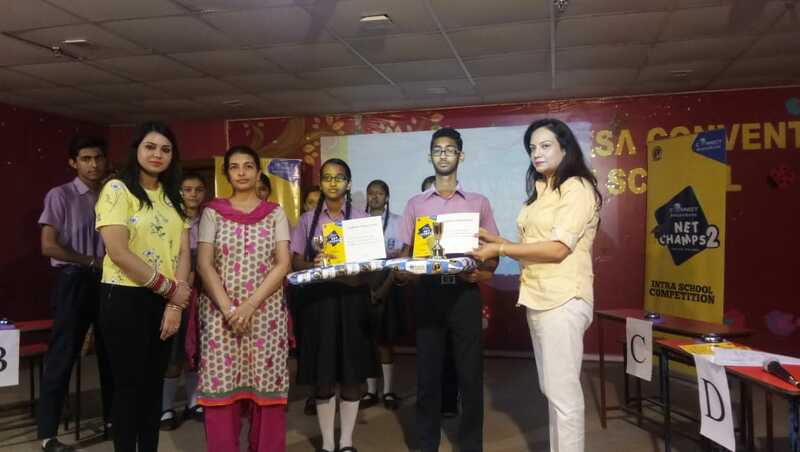 In Non- Medical Himanshi Prashar got 94.3% and stood firts, Mehak Bansal got 94% and stood second, Jatin Bansal got 92% and stood third, Simranjeet Kaur got 91.8%, Gurkamal Singh got 91.8% and Tarandeep Kaur got 91.4% and Dimpy Bharti toped commerce stream with 91%. Mrs. Ranjeet Bedi, Principal, Gian Jyoti Global School congratulated all the toppers and their proud parents. Mrs. Bedi also said that the result for Medical, Non –Medical and commerce stream is 100%. Zirakpur 26th May:- Grade XII students of Dikshant International School, Zirakpur have performed outstandingly well in AISSCE held by CBSE in the academic session 2017-18. Total of 42 students appeared in grade XII and the result is 100%. The school topper is Nikhita Rawal, who topped the Science (PCB) batch with 95.5% marks, PCM topper is Tanveer (90%), while the Commerce topper Manpreet scored 92% and 91% marks were scored by Shubhdayini. All subject wise toppers have scored exceedingly well. Akhil Bhardwaj topped in Accountancy with 96%, Business Studies toppers Manpreet and Awani scored 95%, Mayank got 92% in Economics, while Riddhi Sood scored 95% in History. The Political Science topper is Shubhdayini with 96% marks. 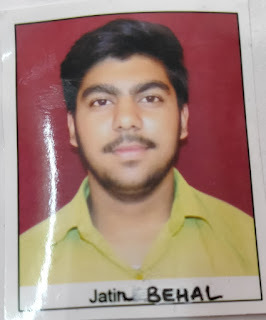 In Science stream Nikhita scored highest in Chemistry (95%) and Biology (98%), while Ayush and Rijul topped Physics and Mathematics with 91% and 95% respectively. Manpreet scored 95% in Physical Education. Two students, Sandhya and Nikhita scored perfect 100 in Painting.